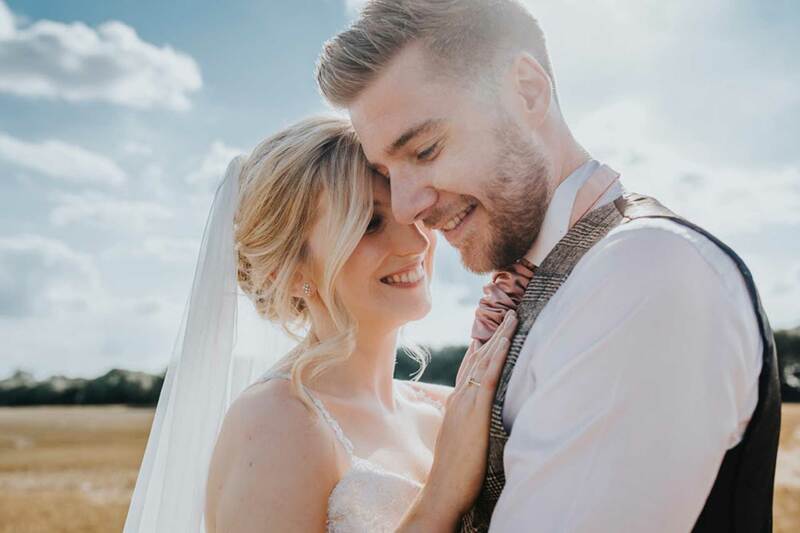 With an elegant colour scheme, delicate flowers and fabulous entertainment, the summer wedding of Jessica and Joe was a delight for all. 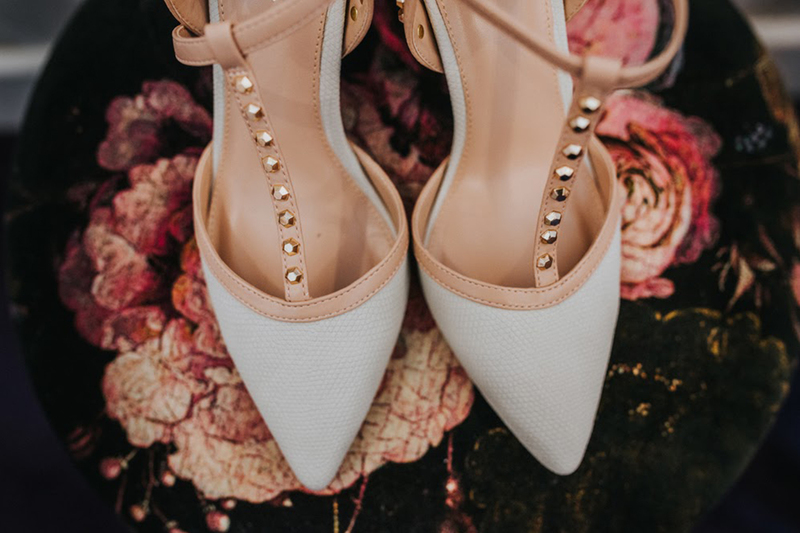 With friends and family all over the country, Jessica and Joe didn’t have a particular location in mind for their wedding. 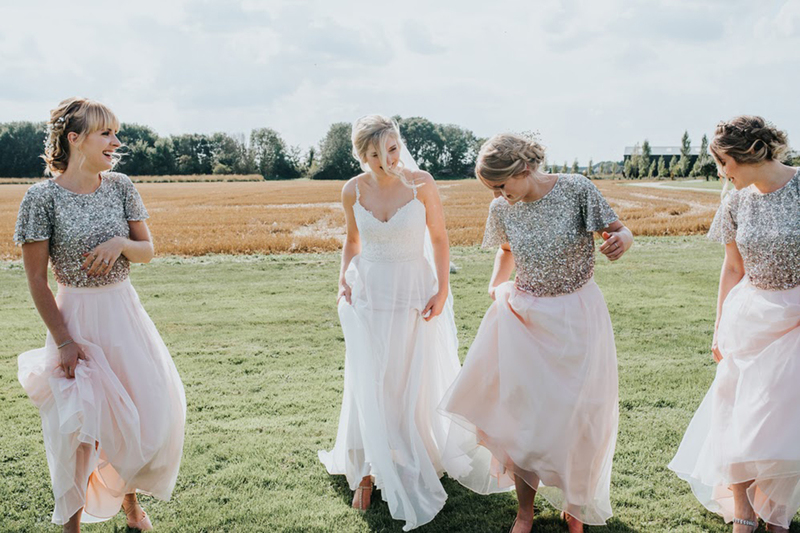 It was all about finding the perfect venue with that ‘wow’ factor. 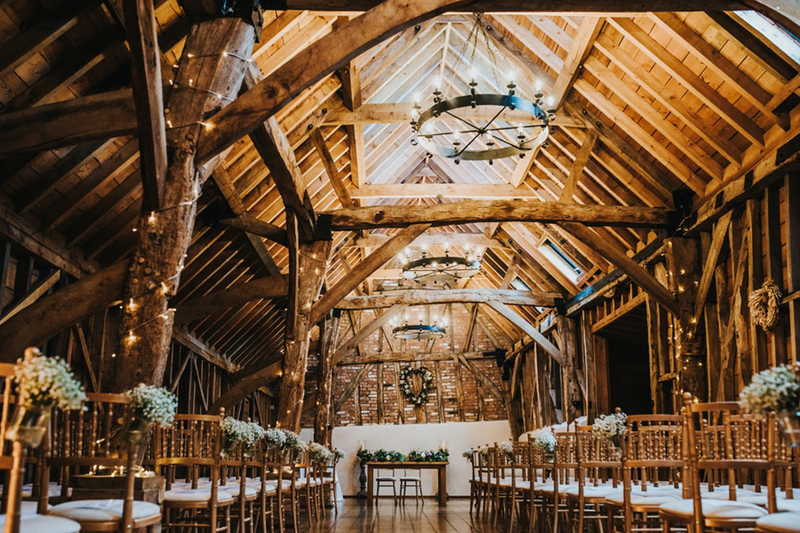 Reading about Bassmead Manor Barns online, they decided to pay a visit and knew straight away that it was the venue for them. Setting an early September wedding date, they started to plan their special day. 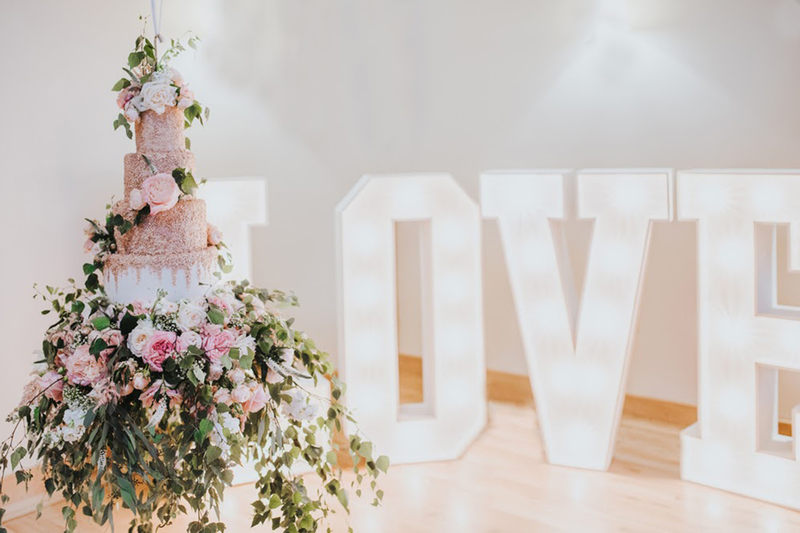 The happy couple decided on rustic style with a hint of glamour, focusing on a colour scheme of blush pink, rose gold and ivory and adding navy, pinks and purples in to the flowers. Ceremony flowers were kept simple and effortlessly pretty with jars of gypsophila on every other aisle and a garland on the registrars table. 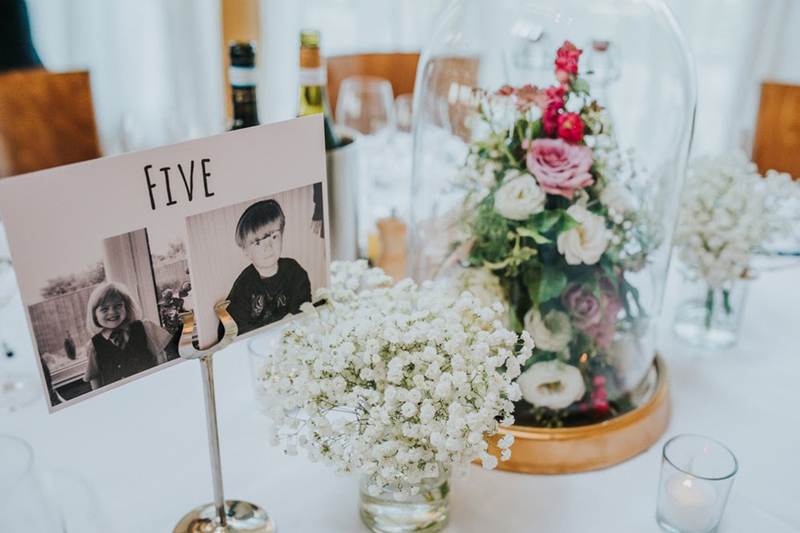 For the wedding breakfast, the garland was moved to the top table and other centrepieces alternated between tall vases of gypsophila and bell jars of roses. The bride was stunning in a gown by Lara at Lara B Bridal in Newmarket. Jessica completed her look with Kurt Geiger shoes, a diamond and pearl hair piece and elegant jewellery. 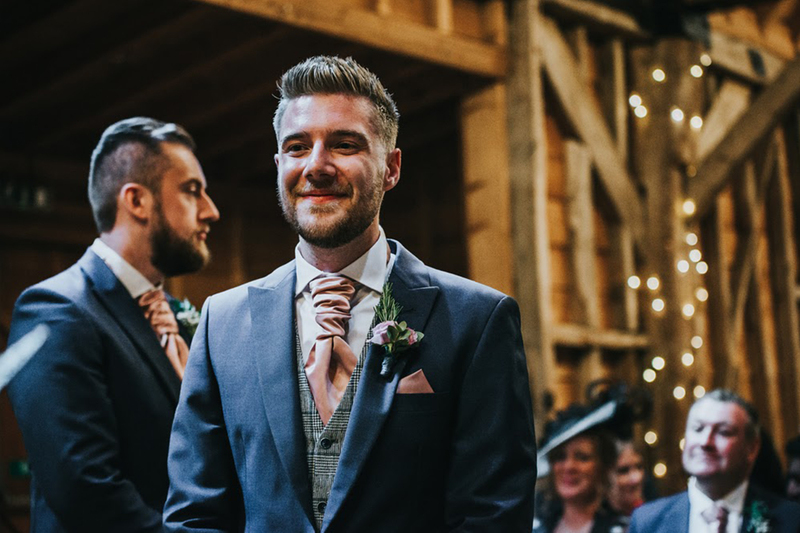 Meanwhile, Joe looked the part in a navy three-piece suit with brown Loake shoes, a blush pink cravat and tweed waistcoat. 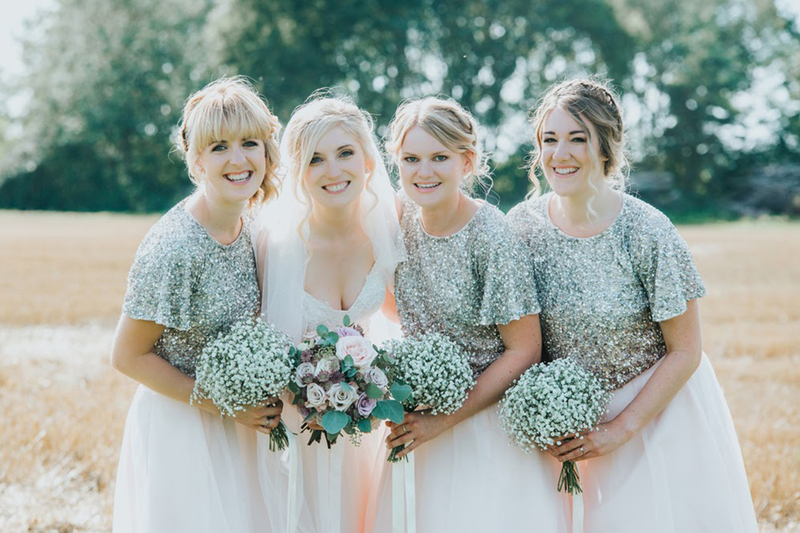 And finally, Jessica’s three bridesmaids were beautiful in pink skirts with rose-gold tops from Coast. 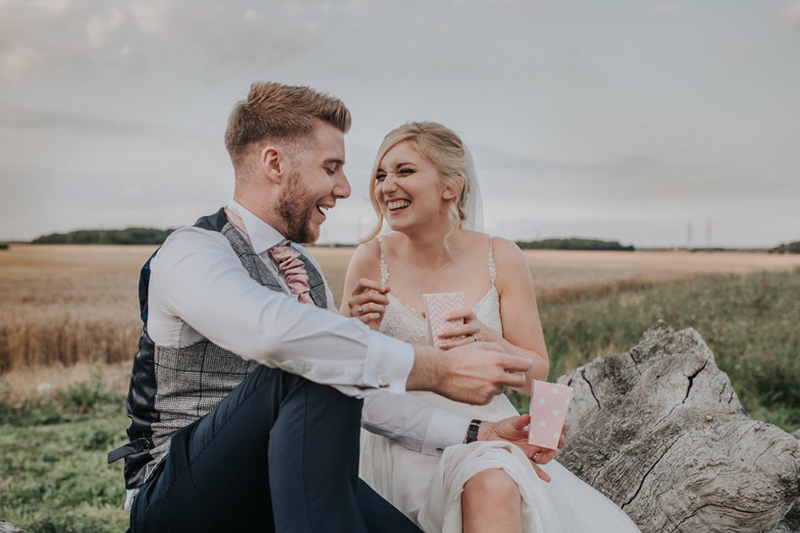 Following their romantic ceremony, the happy couple and their guests enjoyed cocktails and popcorn outside in the sunshine. Moving in to dine, king prawn ravioli was served to start followed by lamb two ways and a trio of desserts. 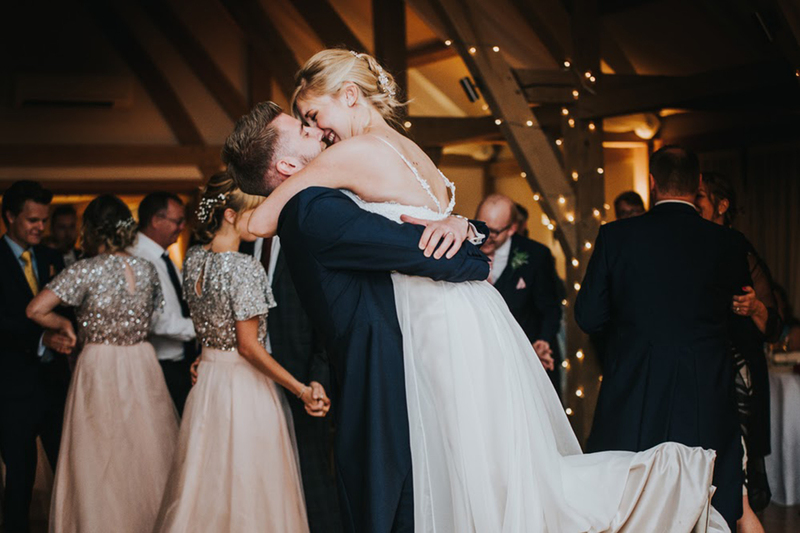 As the sun went down, the newlyweds took to the dancefloor for their first dance to ‘You Got Me’ by Gavin DeGraw. “It’s a special song to us about supporting each other, no matter what,” explains Jessica. A band called The Hi Fi Club played a range of music and filled the dancefloor, while some garden games including giant Jenga and croquet also added to the entertainment. Street food paella proved to be a hugely popular choice for evening dining, and perfectly suited to the warm summers evening. 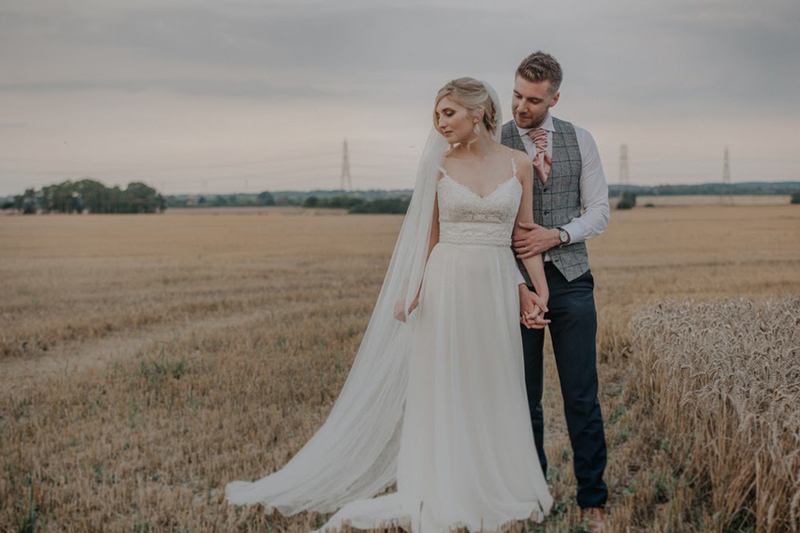 If you’re looking for more ideas for your special day, we hope you’ll also be inspired by the summer wedding of Jenny and Phil at Bassmead Manor Barns.